Bunraku uses a unique, highly stylized visual language. Bunraku, the second film from director Guy Moshe, is a unique blend of cutting-edge computer graphics and choreographed live action, comic book and video game styles, gritty reality and fantasy, and samurai and spaghetti western genres. Crime boss Nicola the Woodcutter (Ron Perlman) commands an army of thugs headed by nine deadly assassins in a post-war future without guns. Citizens of the small town, terrorized by Nicola’s regime, wait in hope of a hero to save them. A mysterious drifter (Josh Hartnett) and young samurai (Japanese star Gackt) soon cross paths and, with guidance from the local bartender (Woody Harrelson), join forces in a quest to overthrow Nicola’s tyrannical reign. At Nicola’s side are Alexandra (Demi Moore), the femme fatale, and Killer No. 2 (Kevin McKidd), Nicola’s lethal right-hand man. The film delivers an impressive cast and a wealth of eye-catching, awe-inspiring visuals – all within a $25 million production budget. Bunrakuis written and directed by Moshe, based on a story by Boaz Davidson. Moshe’s Picturesque Films, Ram Bergman Productions and Snoot Entertainment – all in Los Angeles – partnered to produce the film and bring Moshe’s vision to cinematic life. To realize the strong visual style envisioned for Bunraku, the production team elicited the help of Oliver Hotz, owner and visual effects supervisor at Origami Digital in Los Angeles. Artists at Origami Digital crafted the world of Bunraku. Moshe decided early on that he would tell the story of Bunraku by filming entirely on a greenscreen stage and using a wealth of VFX and (CGI). The crew filmed the live action over a 12-week period and on roughly 30 sets at MediaPro Studios in Romania. “Even though Bunraku was shot entirely inside of sound stages, the director (Moshe) envisioned a massively expansive world,” explained Hotz. 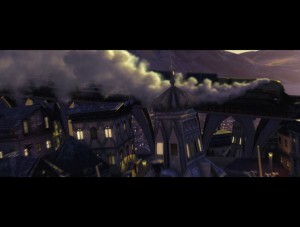 Origami Digital was initially contracted to deliver approximately 90 of the more difficult VFX shots in the production, while Snoot Entertainment’s Snoot FX division were assigned roughly 300 “A over B” set extensions. The project’s VFX work soon grew in both quantity and complexity, so the decision was made to reassign all of the work to Origami Digital. 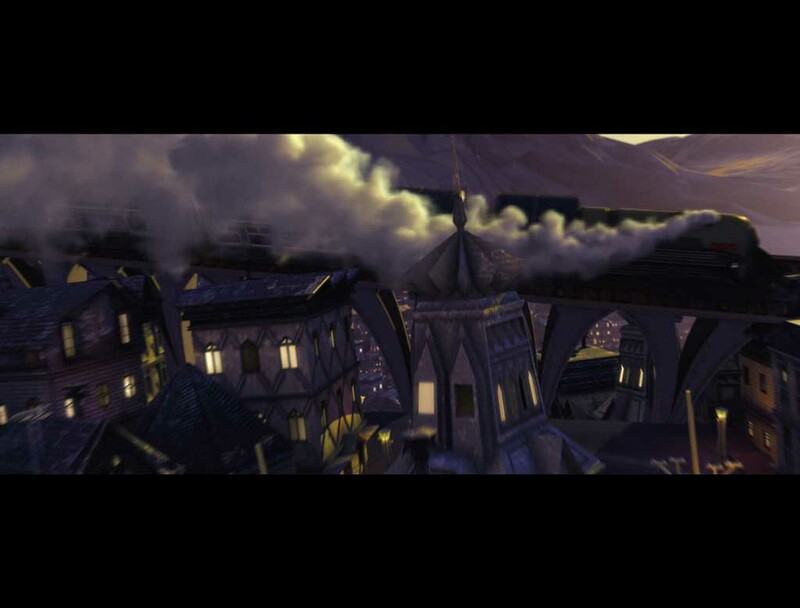 The Origami Digital VFX team was responsible for creating virtually everything that wasn’t in the immediate set, including a view through the City Square’s main archway, a flyover from a Mob Office over the city and past several landmarks, and a colorful, paper-lantern sky. In all, Origami Digital artists delivered more than 1,000 shots, which span roughly 83 minutes of Bunraku’s running time. Given the volume of VFX the team had to deliver for the movie, Hotz elected to farm out preparation tasks to other facilities and enable artists to devote more time to the look and design of the shots. RotoFactory, together with Origami Digital’s in-house rotoscope/paint team, delivered mattes for several greenscreen sequences. Pixel Magic completed speed changes that were introduced in the edit stage. Algous Studios delivered the type of blood Moshe wanted in the movie, as well as providing elements for Origami Digital’s comps and finished “blood only” shots that didn’t require any other VFX elements. Lastly, Imaginary Forces handled a montage sequence, “because we had really liked the style of some of its other work and it fit perfectly into this movie,” said Hotz. 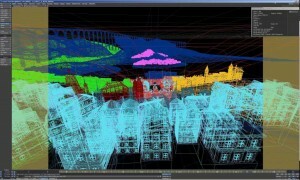 The visual style of the work in Bunraku was a departure for Hotz and his team at Origami Digital. “Most of our prior work was of a photorealistic/invisible style. Achieving the stylized look that [Moshe] wanted took a lot of trial and error, so we came up with a workflow that allowed for experimentation without incurring overages or getting into a major time crunch,” he explained. 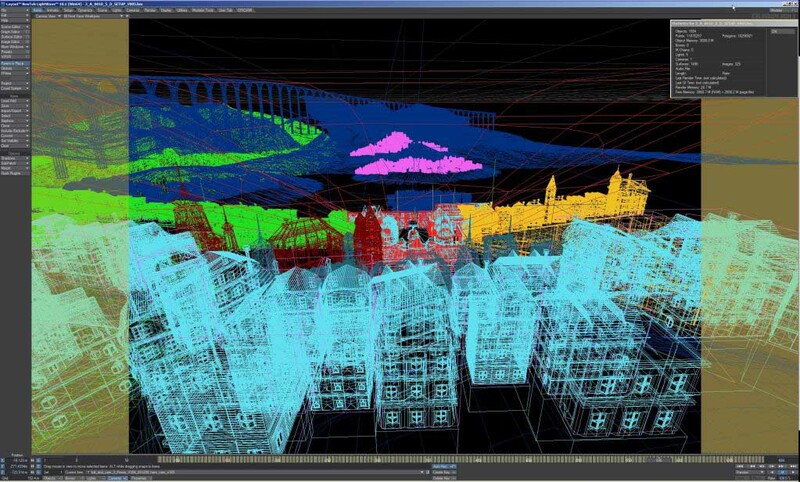 Origami Digital relied on NewTek’s LightWave 3D for Bunraku’s workflow. A smooth, tightly-integrated production pipeline was a prerequisite for Origami Digital artists to produce a wealth of scenes combining live action, CG with high polygon counts and striking VFX – all on a deadline. Origami Digital also enjoyed tight integration with its internal job tools. The artists did not need to create render folders or passes folders. “We automated things like z depth or matte passes, and submissions to the render farm – all to make it easier on the artist, who could concentrate more on the creative work. Artists need to be able to iterate to improve work, admitted Hotz. “LightWave allows us to do that,” he said. “I find shading and texturing in LightWave so intuitive that we didn’t run into any slowdowns on that end, giving us the opportunity to explore many different looks in a very short amount of time. Bunraku’s visuals are being compared to those of Sin City and 300, both of which commanded much larger budgets than Bunraku’s modest $25 million price tag. “I am extremely proud of the work we have achieved,” said Hotz. “I’m equally proud of the way in which we were able to manage this project.